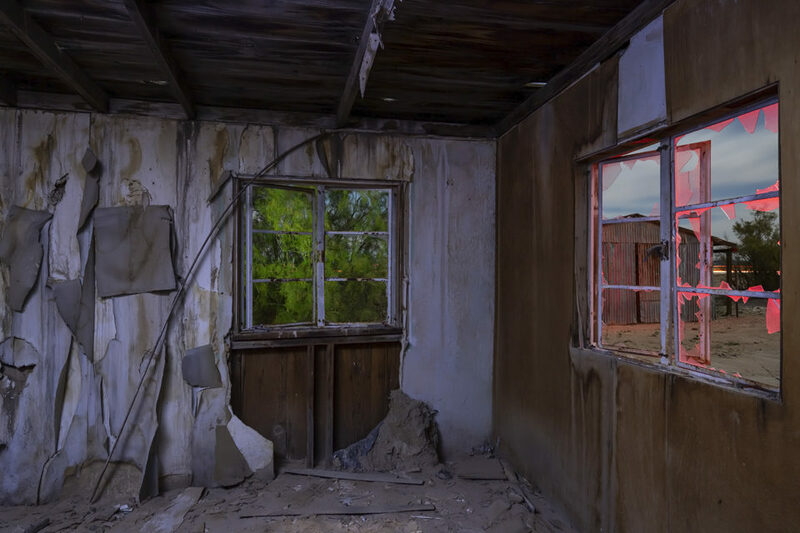 An abandoned bedroom off Route 66, Newberry Springs, California. Night, full moon outside, total darkness in, with cool white, lime and red from the Protomachines flashlight. It all happened in 142 seconds.